Congress is set to leave town and head home to campaign for the next six weeks, and instead of working on unfinished business for the American people, the leadership of the House of Representatives is using its final work hours to further the agenda of the oil and coal interests that line their campaign coffers. X “Fiscal Cliff”: At the end of 2012, automatic budget cuts (aka sequestration) and expiration of many tax breaks are set to go into effect. This deficit showdown, in particular the automatic across-the-board cuts, will have a severe impact on many conservation and clean energy programs. Any reasonable person would expect that if Congress canceled the previously scheduled October work period, the remaining days would be spent working to make progress on these important issues. The House of Representatives doesn’t seem to be too concerned with dealing with the real business of the country. Instead, they are working to amplify a political message on behalf of big polluters by taking up a bill that has no chance of becoming law. The bill, dubbed the “Stop the War on Coal Act,” is a simple “re-do” of bills the House has already voted on and been rebuffed by the Senate. Dismantling fundamental clean air protections that protect public health and the environment by reducing carbon, mercury and other toxic air pollution from the nation’s largest polluters. Repealing EPA’s science-based endangerment determination and simply declaring that carbon pollution is not a risk to human health and welfare, despite the overwhelming consensus that climate change is a threat to people and wildlife across the country. Blocking the recently-finalized national fuel efficiency standards that will deliver dramatic savings at the pump, significantly cut U.S. oil consumption, and reduce harmful pollution. Threatening our nation’s fishable, swimmable and drinkable waters, and would roll back key provisions of the Clean Water Act that are the underpinning of 40 years of progress. Because of the Clean Water Act, remarkable advances have been made in cleaning up our waters, restoring fish habitats, protecting drinking water, slowing wetland loss, and growing water-based recreation. Repealing EPA’s authority to ensure that coal ash—the byproduct of burning coal, which is laden with arsenic, lead and mercury and other toxic chemicals—is disposed of safely and kept out of our air and drinking water. 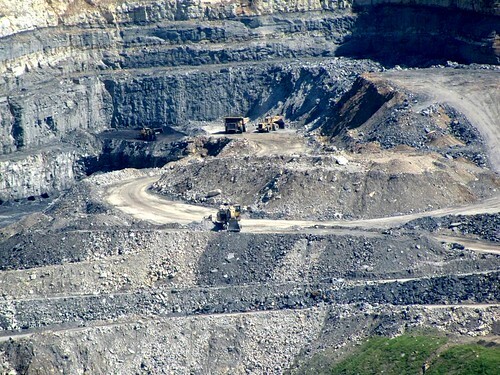 Stopping the Department of the Interior from developing stronger standards to protect rivers and ecosystems from the most egregious mountaintop removal mining operations, thereby putting the communities and wildlife that depend upon healthy ecosystems at risk. Rather than resolving the important business and working to solve the problems facing the country, the House leadership continues to push a polluter-backed agenda that threatens the air we breathe, the water we drink, and the climate we depend on. It is time national leaders take climate change and conservation values seriously. Pledge to speak up for wildlife in this election season and vote for lawmakers who will address the challenges we face.